Yay, summer's practically here and as you shed a few layers of clothes, you know it's time to #SummerizeYourLegs! No worries because I'm here to show you how to get those gorgeous legs of yours in tip top shape for playing in the sun! It's important to always arm yourself with the right tools to get you well on my way. For this task, I've headed over to Walmart to purchase a few of my favorite products to help get me started! Ample moisture, a quality razor and good sun protection are essentially the key to achieving the perfect summer legs! First, i like to start with a product that I've been using since i was a teenager! Skintimate Mandarin Burst not only smells uhhh-mazing (think tropical paradise) but gets the job done every single time i shave! I can rest assured that whenever i reach for this product, I'm hydrating my legs with essential vitamin E and olive butter to help replenish skin's natural moisture while providing unbeatable razor protection. This beauty leaves my skin feeling smooth and healthy while creating a comfortable shaving experience. Oh and did i mention it smells incredible? I did? OK... moving on! I don't trust my legs to just any old razor! No sir! The quality of razor you choose makes a world of difference when it comes to achieving a perfect shaving experience every time! The Schick Xtreme Hawaiian Tropic Razor is easily becoming one of my new favorites! Aside from the super cute colors it comes in (and lets face it, that's just as important as its accuracy and functionality right?!) this beauty is quite the little powerhouse! With 3 flexible blades, this razor allows you to get the shave you need, while fighting razor burn by indulging the skin with aloe, vitamin E and jojoba... all the essential skin loving ingredients we've come to know, trust and love! But that's not all, this beauty's handles are Hawaiian Tropic scented to make for an even more pleasurable experience! Yes!!! OK so now for the best part! I love playing in the sun (ahhh... don't we all?!) However, i realize the importance of keeping my skin protected so that i could enjoy this wonderful time of year with my family! My new summer BFF is none other than Hawaiian Tropic Sheer Touch Ultra Radiance SPF 30. This baby applies beautifully onto my skin. It goes on sheer and quickly disappears while magically shielding my skin from the sun's harmful rays. In true Hawaiian Tropic form, it smells incredible and leaves my skin feeling touchably soft and smooth. I know i will keep this beauty close when frolicking poolside! So be sure to get your legs ready for summer with lots of moisture, a quality razor and lots of sun protection! You can find all your shaving, moisturizing and beauty products at Walmart.com. Also, click here for 3 quick tips on how to summerize your legs as well as to ENTER TO WIN a Summerize Prize Pack which includes all the products featured in this post plus a super cute beach towel and Walmart gift card! 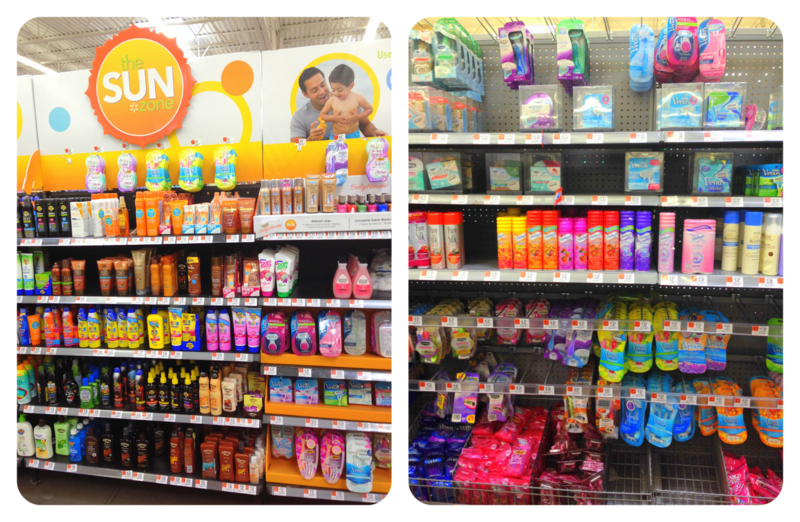 Oh and want to save money on the Skintimate and Schick products? Of course you do! Check out this All You ad for Prep, Shave and Protect featuring two coupons! You're welcome!